The GALILEO 238 is considered state-of-the-art in studio technology, probably without any serious competition when comparing price and performance. 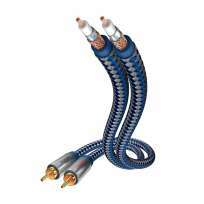 It has a large wire diameter of 2 x 0.38 mm2 and extremely dense double copper spiral shielding. To ensure a very low capacity of approx. 50 pF wire/wire the wire pair was embedded in an additional PC-jacket. The GALILEO 238 has a silver solder finish and is supplied with NC3MX-SOM and NC3FX-SOM connectors made by NEUTRIK especially for SOMMER CABLE. The use of turned, real gold-plated contacts ensures the lowest contact resistance (also for the female version!). 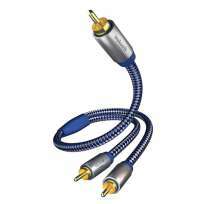 This cable is only available in black. The shielding is additionally protected with an insulating sleeve. 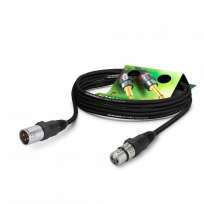 QED Performance Audio Graphit Cinch-Cable 0,6 mtr. 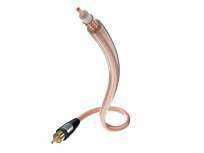 Inakustik Star Y-Subwoofercable 5,0 mtr. 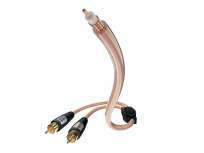 Inakustik Premium II Y-Subwoofer Cable 3,00 mtr.